Choosing a personal injury attorney is not an easy task. Your attorney should be able to clearly explain your legal options. In addition, your attorney should be available to speak with you throughout your case. As an example of the personal attention provided by Bryant Clark Law, PLLC and for your convenience, we are available to meet in your home , office or the hospital for a free initial consultation. 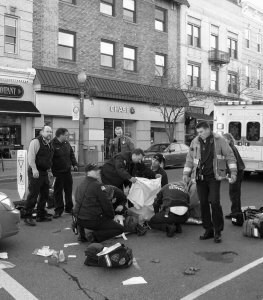 BRYANT CLARK LAW, PLLC fights for justice for those suffering an injury due to the negligent or unsafe actions by a medical professional, driver, property owner or manufacturer. We strive to win you a just recovery for present and future medical care, lost wages, and pain and suffering. An injury is a life changing event. A person who has been injured as a result of another’s negligence has a right to file a lawsuit seeking damages for his or her loss. It is essential that measures be taken promptly to preserve evidence, investigate the accident in question and file a lawsuit before the deadline imposed by the statute of limitations. If you or a loved one has been injured, don’t delay. Contact Bryant Clark Law, PLLC today at 662-834-6133 for a free legal consultation. There is never a fee unless we win your case. We will help you so that you understand your rights and obligations under the law.